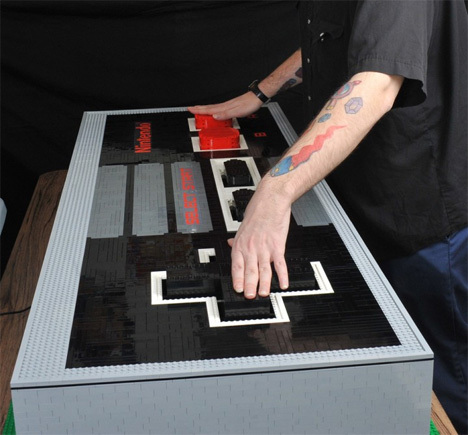 This gigantic NES controller combines some of the geekiest fun in the world: LEGO, Nintendo, and giant models of smaller things. Baron von Brunk, a tinkerer who builds some pretty amazing things, put this bad boy together over the course of several months. 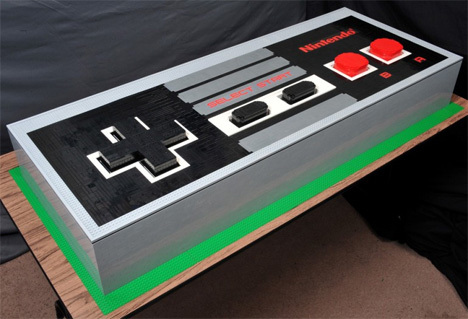 And it’s far from being a silly giant toy: this LEGO build actually works as an NES controller. Von Brunk didn’t keep track of the number of pieces used in this five-foot-long working sculpture, but he says it’s in the thousands. He built both the LEGO exterior and the electronic innards through trial and error, often taking apart bits that didn’t work to sub in something different. In the end, it is almost to scale and can control games with minimal problems. Obviously, games that require a lot of A and B button action in quick succession are hard to play on such a large scale, but von Brunk says that puzzle games like Tetris are much easier. 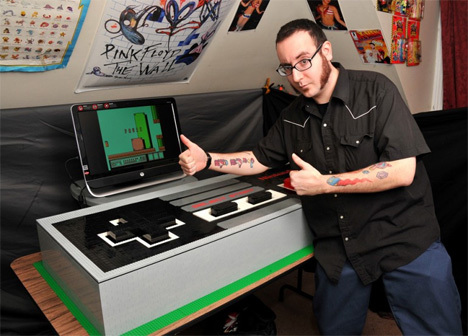 This isn’t the first working giant Nintendo controller we’ve seen – in fact, that seems to be a pretty common project for a lot of geeky makers. But this is the first working LEGO model we’ve seen, and that makes it super-impressive. See more in Do It Yourself or under Technology. January, 2013.